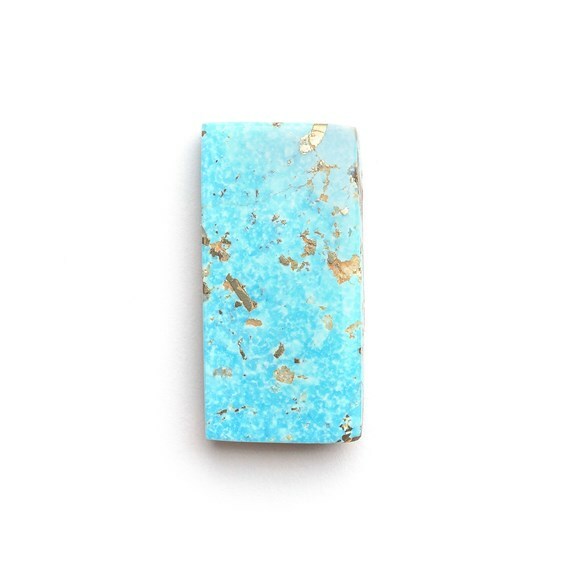 This beautiful 100% natural Persian turquoise cabochon has not been treated in any way, totally natural turquoise is quite rare & less than 3% of the world's turquoise is now completely unstabilised or untreated. 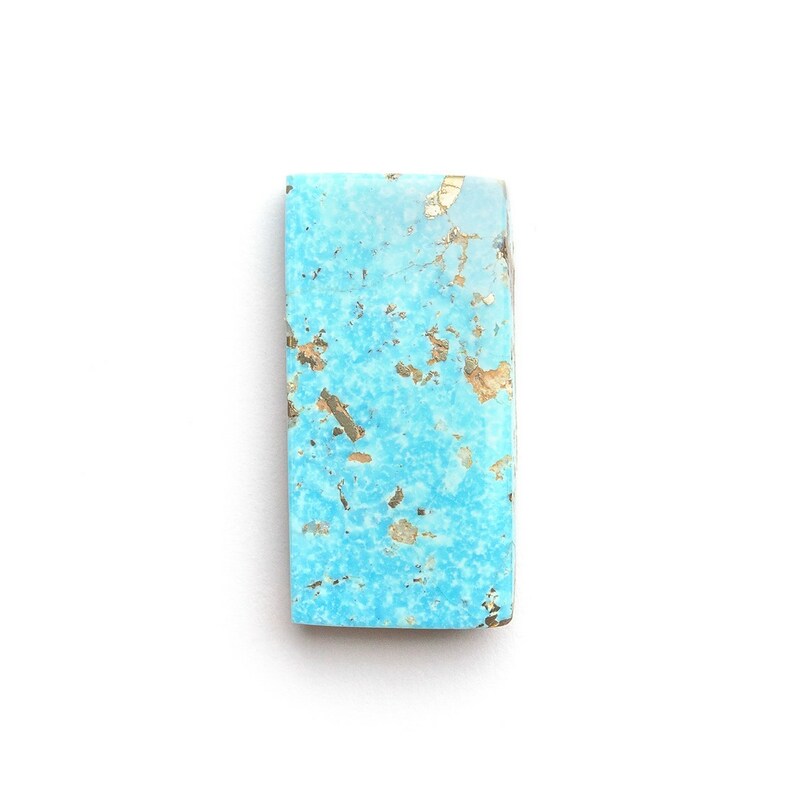 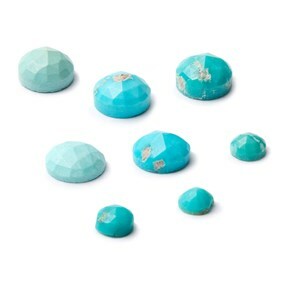 We have been lucky to be able to source this turquoise directly from the owners of a turquoise mine in Kerman, Iran, where it is also cut and polished by Iranian locals. 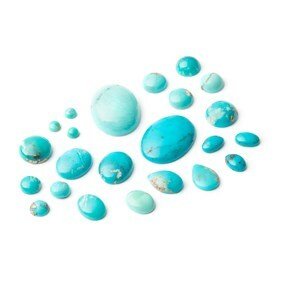 Turquoise has been mined in Iran for over 5000 years and it is this turquoise that sets the quality standard for all turquoise. 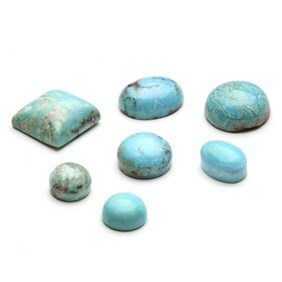 High-quality Persian turquoise is rich blue, with less matrix-Persian turquoise can also be distinguished by its white mottled patches.